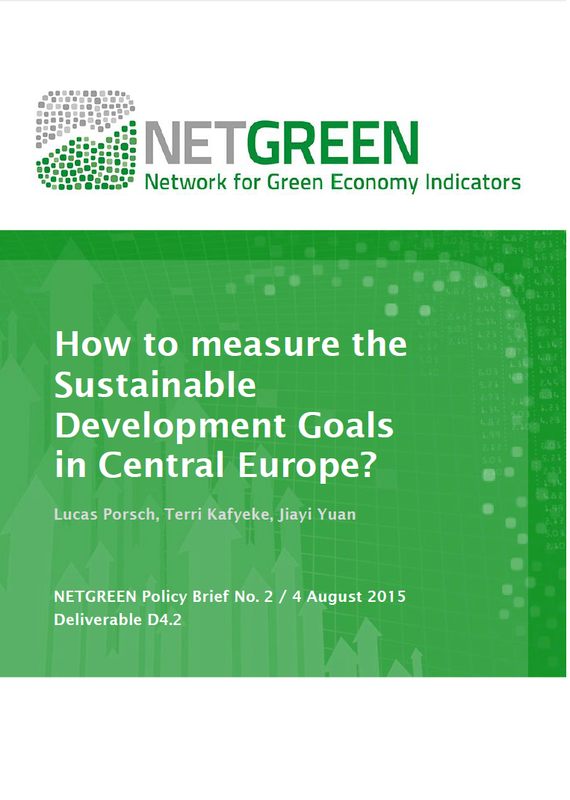 How to Measure the Sustainable Development Goals in Central Europe? At last, the United Nation’s Millennium Development Goals (MDGs) have reached their target date. The initiative has led to impressive results during its fifteen years of implementation, and it is currently being hailed as the most successful anti-poverty movement in history. Meanwhile, the international community is preparing to redirect this impulse towards the next challenge: the Sustainable Development Goals (SDGs). While all nations are concerned by this new set of targets, it would be a mistake to ignore the enormous differences that still exist between countries. This heterogeneity leads to extremely different perceptions of the goals and of their relative importance within the set. This, in turn, affects which indicators would be most appropriate to measure a country’s progress towards the goals. Each country will have to focus on a few indicators for communication purposes. In this policy brief, we argue that the Measuring Progress tool can facilitate the indicator selection process that countries must go through in order to monitor their progress towards the SDGs.